This cool, fashion-forward chain bracelet is part of Gucci's Blind for Love collection. 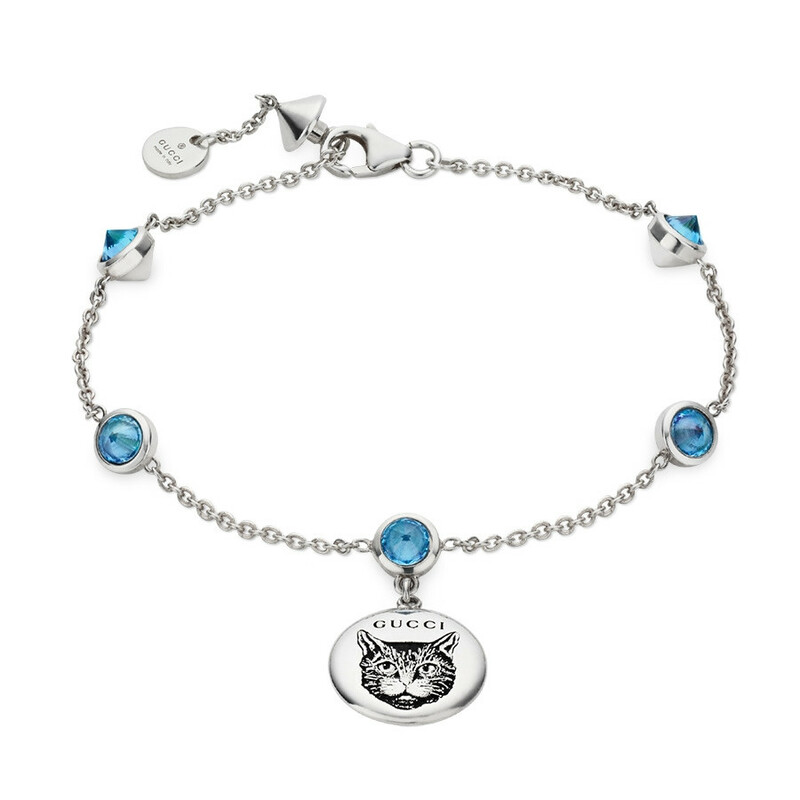 Crafted in sterling silver, it features a round charm with an engraved Aureco black finish Mystic Cat on the front, and the phrase Blind for Love on the back. The chain, that secures to your wrist with a lobster clasp, is embellished with light blue zirconia stones.